In Central Europe Digest: Estonian Wonderland. The Center for European Policy Analysis in Washington, DC, has published an article by me in their Central Europe Digest. The topic is Estonia and the enormously successful transformation it has gone through, partly based on my impressions when I was there recently. Impossible To Reduce Public Spending? Perhaps someone wonders where I am. Well, I am in Stockholm, back from Brussels Tuesday evening. The debate at the European Ideas Network went well, by the way. It was also rather interesting. One other speaker, Martin Ågerup, Managing Director of CEPOS in Denmark, showed a strong correlation between big government and low levels of entrepreneurship - and vice versa. Right now, I am completely snowed under by deadlines, implying that there has to be a lot of reading and writing in the weeks to come. Some interesting pieces of information I have encountered are busting a common myth. It is often said that no wealthy country has managed to decrease public spending as a share of GDP substantially or lasting. This is not true. Ireland decreased public expenditure from 57 per cent in 1982 to 35 per cent in 2005. New Zealand decreased the share from 44 per cent in 1991 to 33 per cent in 1998. Britain decreased it from 44 to 40,5 per cent in the 1980s. Not to mention countries in Eastern and Central Europe like Estonia and Slovakia with radical reductions. It is possible. It just takes political will. Selected Lectures. To the very brief "About me" list left on top of this page, I have now added a link to a page showing a number of selected lectures during the past two years - with hosts, topics and locations. There have been a few arrangements, and I thought it useful to gather a number of them. I have learned a lot and created numerous good contacts. Amerikanske tilstande. Just tillbaka från trevlig middag på Europaparlamentet här i Bryssel. Träffade Henrik Fogh Rasmussen, författare till boken "Amerikanske tilstande" (CEPOS). Boken ska ännu läsas av mig, men dokumenterar framför allt hur de 10 procent fattigaste i USA har det. Ungefär som de 10 procent fattigaste i Danmark, visar det sig. Men de 90 övriga procenten har det mycket bättre i USA än i Danmark. 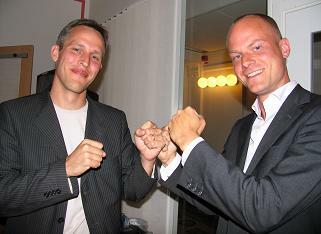 Omfattande debatt har uppstått och Henrik besvarar kritiken på webben här. En viktig debatt - rätt ska vara rätt, även om USA, och trots väl inövade fördomar. With Institutions Come Policies. After celebrating Midsummer in Helsingborg with a family party, I lifted off from Copenhagen at lunchtime and just landed in a sunny Brussels. I will speak at an arrangement by the European Ideas Network concerning European competitiveness and entrepreneurship. A rather suitable timing, one might say. Many comments now point out that after this, there might finally be some more policy content in the European debate rather than the procedural and technical issues. These are however very closely related. The construction of the institutions will determine large parts of the policy content. The issue of whether free competition should be an EU aim or not illustrates precsiely that. The final text is not yet set. That will be done by the Intergovernmental Conference from July to October. I don?t know if competition can return by then. If possible, no effort should be spared by good forces to get it back. Why the New EU Treaty Might Be Worse Than the Previous. "Competition as an ideology, as a dogma, what has it done for Europe?" French President Nicolas Sarkozy at the EU Summit, after managing to erase "free and undistorted competition" from the text as one of the EU:s main aims. In a highly praised book, William J Baumol makes the case that institutional competition is in fact the main cause for Europe once becoming the first wealthy place on earth. Read more. That′s one good reply to Sarkozy. Another is in today′s FT, read here. Frihetlig essätävling. Hur skulle din favorittänkares idéer kunna göra dagens värld friare och bättre? Se där något att ägna några regniga sommardagar åt. Skriv en essä på det temat och skicka in före den 15 augusti till mattias.svensson@timbro.se. Du har chansen att vinna 10 000 kr. Captus Advisory Board. Captus is a fairly new yet well-established and very dynamic Swedish free-market think-tank. It gathers a number of talented and dedicated young people who work intensly for a freer society. They now have a new web page, see here. I am a member of their Advisory Board, together with people like Mats Qviberg, Nigel Ashford and John Meadowcroft, see here. Glad Midsommar! Denna tid på året har många haft hektiska tider. Alla dessa deadlines... Snart dags för en liten paus i form av en högtid som för en gångs skull inte har ett kristet ursprung. Trotsa regnet och ha ett trevligt firande av vår urgamla hedniska Midsommar! Grov överbeskattning! Statens överskott beräknas bli 138 miljarder kronor i år och 118 miljarder kronor nästa år. Med andra ord drar staten in så många miljarder mer än vad som behövs för de offentliga utgifterna. Även om man instämmer i att vi ska ha så omfattande offentligt åtagande dras således hundratals miljarder extra utöver det in. Detta är en väldig överbeskattning. Statsminister Fredrik Reinfeldt talar om ytterligare skattesänkningar för låg- och medelinkomsttagare i höst. En vettig början, fortsätt så och ta bort värnskatten på vägen, som står för 4 av de 138 miljarderna. Det finns absolut ingen anledning att överbeskatta svenska folket. Dra snarast ned skatterna så att de åtminstone kommer i paritet med utgifterna. In Pursuit of Happyness. No, I am not misspelling and no, I am not going to write once again about this ingenious principle of freedom in the American Declaration of Independence. Rather, I would like to advise you to see the film with that title, starring Will Smith. One of few films seen by me lately, this time on the plane from Washington, DC. A story about life chances, struggle and parenthood. Quite strong for anyone who is a parent, I believe. In the Records of the US Congress. This past Wednesday, Tim Kane of the Heritage Foundation testified before the Joint Economic Committee in the US Congress. The topic was: "Importing Success: Why Work-Family Policies from Abroad Make Economic Sense for the US". It is an interesting and well-argued testimony. Also, I am happy that it is to a large extent inspired by my chapter in this year′s Index of Economic Freedom. In fact, he quotes directly several pages from my chapter. I hope it will have some influence. Sarkozy and Turkey. Yesterday continued in quite high speed with a meeting at Capitol Hill and a dinner arrangement where I, Brett Skinner and Helen Evans did shorter speeches. Will soon go for a traditional jog here in Washington, DC, and then a meeting at Heritage. After that back home. Many are joking about what there might have been served in Nicolas Sarkozy′s glass when meeting Vladimir Putin. See here. Personally, I wonder more what was in his glass when he decided to actively oppose Turkey′s EU entry. In the rather turbulent situation in Turkey now, that is not what the modernising forces need. Read here. In Defense of the Free Market. This week, a new book was published, called "In Defence of the Free Market". It was published by the Conservative Institute in Slovakia and contains a number of lectures in print. My lecture about the Nordic Model last fall in Bratislava is one of the chapters. Other lecturers with chapters include Nobel Laureate James Buchanan and Czech Republic President Vaclav Klaus. Markets Are Crucial For Future Health Care. Below is the entire transcript of my speech today at the penthouse of the Mayflower Hotel in Washington DC, at the arrangement by Galen Institute and International Policy Network. The debate was very interesting. Capitalism and Democracy. Morning in Washington, DC. The plane arrvied four hours too late yesterday night because of thunderstorms here, so we had to stop in Philadelphia. Soon off to various arrangements. The lunch conference is apparently full - 180 attendees - and C-Span (TV) is reported to broadcast it all. Anyway, in today′s New york Times, there is a very interesting piece by Patricia Cohen. She writes about the optimism in the early 1990s that more capitalism would inevitably lead to democracy all over the world. This has so far proven not to be the case, with the Chinese dictatorship being one of the really persistent. She describes the current analyses with interesting references. Read it here. Debatt om löner. Viss debatt har utbrutit på svenska ledarsidor till vänster om lönebildning och arbetsmarknad, som följd av mina kommentarer i media. Se exempelvis här och här. I grunden handlar påståendena om att vi behöver mindre löneskillnader och kraftigare löneökningar för löntagare. Som LO har konstaterat är ersättningarna till de 50 VD:arna med högst lön höga. Det är chefer i multinationella företag där rätt eller fel rekrytering kan avgöra om man ska minska eller öka antalet anställda i tusental. Att rekrytera rätt på en global marknad är således avgörande också för medarbetarna. Men för alla andra svenskar, bortåt 99,99 procent av befolkningen, är skillnaderna i disponibel inkomst mycket små. Näst minst bland de industrialiserade länderna i OECD. Det är det sammanhanget vi bör foksuera på. Är skillnaderna då verkligen för stora? Lönar sig verkligen extra arbete och utbildning för mycket idag? Dessutom, vill man ha rejälare löneökningar så borde man verka för en friare arbetsmarknad med mindre facklig makt. I länder som Storbritannien, där arbetsmarknaden är friare, har reallönerna ökat mer än i Sverige de senaste 15 åren. Klaus: "Freedom, Not Climate, Is At Risk." Today, Vaclav Klaus, President of the Czech Republic, writes forcefully about climate change in today?s Financial Times. He criticises the hysteria and propaganda of the issue so far, with credible references and argues for rationality and a clear analysis. Free Markets, Welfare State and Health Care. Soon, I am off to Washington, DC, for a full day′s program tomorrow, though, first, I will drop in at TV4 for a morning debate. In DC, will be a breakfast meeting, radio interviews, a lunch debate, a meeting at Capitol Hill and dinner. The main event is the lunch, arranged by the Galen Institute, at the National Press Club, and no seats are left. Dr Mark McClellan, Head of Medicare and Medicaid, will start off the debate. Obviously, my message is that markets are not only compatible with welfare services such as health care but essential for their quality, efficiency and future development. Now What? 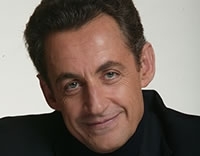 Nicolas Sarkozy not only won the Presidential election decisively, he also seems to get an overwhelming majority in Parliament. And again, he shows his tactic skills. Therefore, now, there are no purely political obstacles to him doing whatever he likes in terms of reforms. He has indeed raised expectations. People not only in France are hoping for him to deliver the "rupture" with the past. Soon, we will know. And if France is reformable, then any other country is too. Idag kom således påståendet om inkomsterna; en "börs-VD" förklaras ha en inkomst motsvarande 41 industriarbetarlöner. Till det lägger vice ordförande Erland Olausson påpekandet att LO:s lönekrav rimligen inte kan driva inflationen om nu dessa VD:ar kan få så höga löner. Vad är då detta? Först av allt en irrelevant jämförelse. Antalet "börs-VD:ar" är mycket litet. Än mindre är antalet dylika VD:ar med väldigt höga löner, som drar upp detta snitt. Självklart betyder tio procents påslag för 20 personer mindre för samhällsekonomin än tio procents påslag för 2 000 000 personer. Men i vilket fall är det relevanta att se på inkomsterna för hela befolkningen. Och då efter skatter och bidrag. Fram träder bilden nedan för alla industrialiserade länder (OECD). Sverige har näst minst inkomstskillnader av alla 30. På grund av vår typ av lönebildning, arbetsmarknad, skatter och bidrag ligger vi mycket nära noll i löneskillnad. Så ser verkligheten ut bortom börsen, och det har inte förändrats mer än marginellt. Extra utbildning, arbete, risktagande eller investeringar lönar sig mycket lite. Om det kan man ha olika uppfattning. Jag tycker det är fel. Men i vilket fall ska man ha fakta rätt och inte snedvrida verkligheten med selektiva urval och vilseledande kommentarer. Diagrammet avser skillnader mellan hushållens disponibla inkomst, mätt med den s k ginikoefficienten där 0 är att alla har exakt lika mycket och 100 att vissa har allt, andra inget. 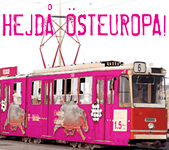 Tips: Hejdå Östeuropa! På torsdag presenteras Erik Zsigas nya bok "Hejdå Östeuropa" (Timbro). Zsiga, som delvis har ungerskt ursprung, har rest i Öst- och Centraleuropa och analyserat utvecklingen. Boken är en målande och optimistisk skilding av detta det nya och växande Europa. Den är mycket välskriven och har i hög grad formen av ett resereportage. Rekommenderas! Kan fr o m fredag beställas på timbro.se. Vänstervåndor. Imorgon företräds således Vänsterpartiet i riksdagens partiledardebatt av gruppledaren Alice Åström, inte partiordförande Lars Ohly. I ett anmärkningsvärt drag har partiets ledning beslutat att ställa Ohly åt sidan. I största offentlighet pekas han helt enkelt ut av det egna partiet som inte bara en dålig kommunikatör utan också som förklaringen till partiets dåliga valresultat. En förnedrande behandling som visar ett parti i viss desperation. Bakom detta står naturligtvis den gamla interna kampen mellan kommunister och socialister. Partiet har smulats sönder långsammare än Berlinmuren, men ett sammanbrott verkar det ändå vara. Which China? What kind of a country will China be tomorrow? Shortly, it will have the second largest economy in the world, growing at four times that of the US. This is the question that Western politicians should ask themselves when they meet the Chinese leaders of today. And it is the context in which one should regard the official visit by China′s President Hu Jintao to Sweden this week-end. All the editorials focus on the abuse of human rights in China and urge politicians to condemn that in the meetings. Indeed, China is still a dictatorship and for a democrat, that can only be totally unacceptable, which should be communicated. But shaping a successful stratagy towards China is not as simple as that. How Western policians act today will affect what kind of a country it becomes. And surely, nobody wants to contribute to China becoming more hostile and authoritarian? There may be too much politeness in the diplomatic life, and too much eagerness just to open up for more trade and accept the rest. But any strategy towards China must include an open attitude to integrate China more in the global economy and society, and straight talk about human rights. China is developing in a positive way and citizens are getting more freedom. Further international exchange should increase that further, also in the political sense. At Least I Finished...! Too many slow runners in front, hurting left leg, no rest in advance, uphills all the way, sun in the eyes - so I ended up at 4:57 in Stockholm Marathon yesterday. No, really, I don?t blame anything. Least of all the heat, about 30 degrees Celsius. I hadn?t trained enough to reach a better result. And if you consider that the stretch is 42 kilometres, you notice that I did an average of slightly more than an hour per 10 kilometres. Also, I did pass some 2000 people, advancing roughly from place 9000 to 7000. And most importantly, it was fun and I made it. A World of Difference. I realised that the difference between Tallinn in 1993 and 2007 would be substantial. My expectations were exceeded. In 1993, the place was so depressing - houses falling apart, no restaurants, dirty streets, disillusioned people. Now, houses are shining, new buildings everywhere, lots of fine restaurants, people look great. Amazing. Estonia had a number of radical free-market reforms. But I wonder if even Mart Laar could expect all this. I looked into the figures too. Average incomes have increased by 120 per cent during the past ten years. Incomes for the poorest 10 per cent have risen by 150 per cent. Many environmental indicators are better and happiness, according to surveys, is up. Indeed something to get inspired by. And for politicians: The most reformist party, Reform, got re-elected! To Tallinn! In a short while, my plane for Tallinn will depart. I will give a lacture at the International Republican Institute, for opposition politicians from Belarus - about economic problems in Western Europe and free-market reforms. Will be great to visit Tallinn again, which I actually haven′t done since 1993. A very different place nowadays, no doubt! Patriotism? En nationaldag då Sverige visade sig i strålande sol. Inte mycket som slår det. Denna vackra dag hyllade de som ser sig som fäderneslandets främsta försvarare Sverige stilfullt genom att marschera i töntiga kläder och framföra intoleranta slagord - och att företräda en politik som skulle göra landet fattigare, tråkigare och mer instängt. Till detta kommer förstås våldsamheterna genom konfrontationen med motdemonstranter. En central del där är den yttersta vänstern, som skiljer sig marginellt från de marscherande extremisterna ideologiskt. Ett egentligen lite sorgligt inslag, inte minst för Sverige, stämningen på nationaldagen och landets varumärke. With Thomas Friedman in Amsterdam. Yesterday, I was a speaker at a large arrangement by the financial corporation Delta Lloyd (by the way celebrating 200 years in business) about globalisation and the need for reforms. They had constructed an entire conference hall inside a passenger′s terminal for ships. The stage had a marine touch and the background was a sky with movement, following the winds of change. Some 250, mostly leading businessmen, participated. Thomas Friedman was the first speaker and basically summarised his "The World Is flat" in an excellent way. He talked about the changes of production in the world getting "farther, faster, deeper and cheaper". After him, the Dutch Minister for Trade, Frank Heemskerk, spoke. He mentioned a long-term analysis that showed the average dutch person having 50 per cent lower income in 2040 compared to if the world continues to globalise. Then, my turn. This was a highly professional arrangement, with lights, cameras, videoscreens, etc. I was introduced with a coincidentally rather Bond-like film on a large screen. Then, I talked about the great effects of globalisation, the need for reform in Western Europe, what to do and how to do it. Seemed to be very appreciated, not least by the Chairman of the Board of Delta Lloyd, Niek Hoek. All in all very interesting. 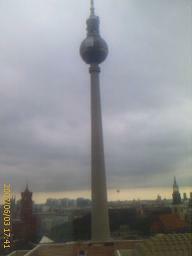 Eastern Berlin. I am in Berlin, earlier today I spoke at the European Freedom Summit. When visiting many cities, one develops an ability to quickly sense their state. I had read about the poor state of Berlin, and noticed it clearly when arriving. Cracked streets, low activity, many rather miserable people, deteriorating facades of buildings, etc. Germany truly needs reforms that liberates creativity and growth. Tre personer att lära av. I senaste numret av The Economist skriver Tony Blair intressant om lärdomar av sina tio år som premiärminister. Lärorikt. På måndag, för 150 år sedan, höll Johan August Gripenstedt ett avgörande tal i ståndsriksdagen. Det markerade början på den intensiva period av liberaliseringar - näringsfrihet, frihandel, fritt bankväsende - som inledde Sveriges väg mot välstånd. Läs mer. Också lärorikt. Och så har s-ledaren Mona Sahlin anslutit sig till sina företrädares förslag att lagstifta om rätt till heltid. Ett kraftfullt slag för färre jobb, naturligtvis, särskilt i en tid då mer flexibilitet behövs. Också lärorikt, men i kontrast till de två förtsnämndas ledarskap och insikter något att bara undvika. Lika som bär? En kort, energisk och exekutiv politisk ledare som av sina motståndare beskrivs som hårdför och enkelspårig. Frankrikes president Nicolas Sarkozy? 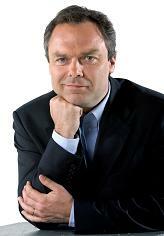 Eller Folkpartiets näste partiledare Jan Björklund? Departure. Soon off to Amsterdam to speak at "Change. Your Perspectives". I will drop by Berlin on the way to speak at the European Freedom Summit. Coincides with the G8 Meeting in Germany. I hope they will make progress on free trade and criticise Russia for its authoritarianism. Will also be interesting to see what Sarkozy will do. Upwards Trend. This blog exceeded 179 000 visits during May. Highest so far this year.